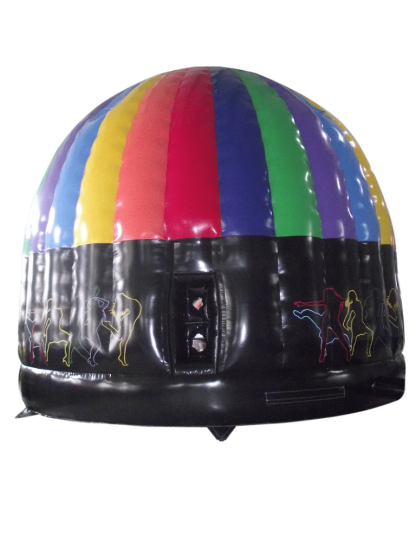 This Disco Dome 4m is a great head turner with a large speaker pocket at the rear and 4 light pockets at the top it will impress any customer. 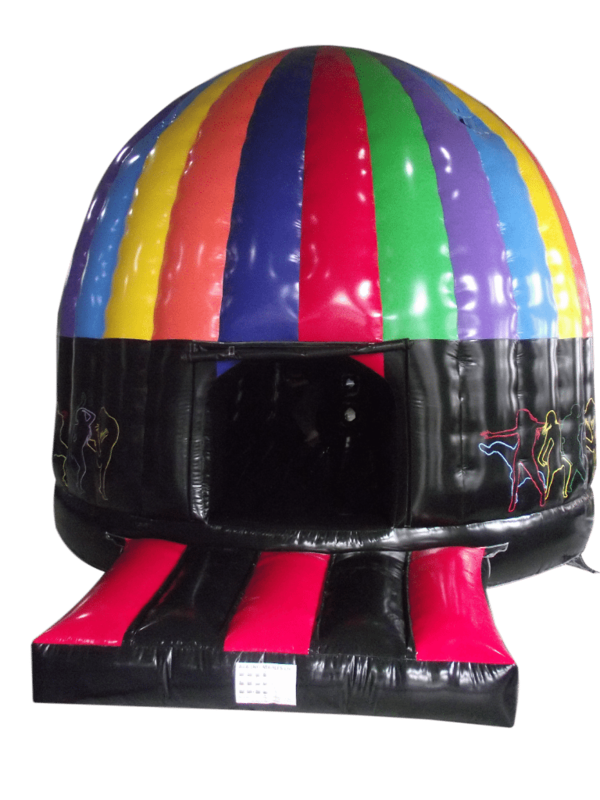 With its Dome Style and hand painted artwork this inflatable Disco Dome looks the part at any corporate event or school fair. 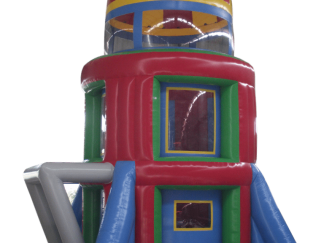 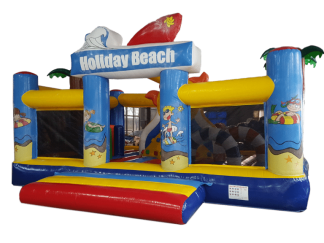 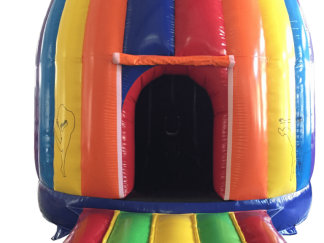 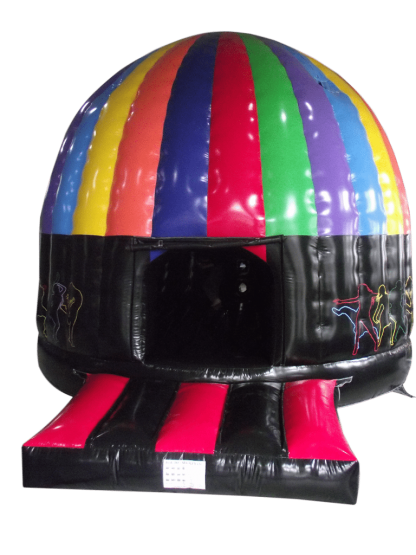 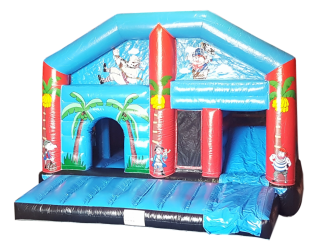 With small water drain holes and zips, for fast deflation these bouncy castles are manufactured to perfection. 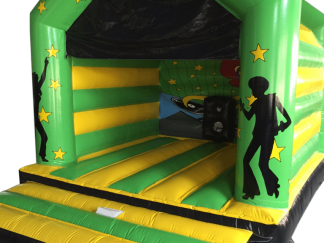 Hand Painted for that individual look with ISF paint. 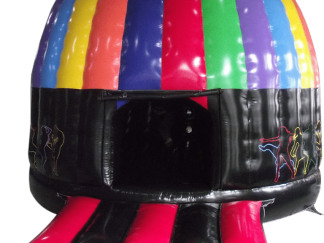 All of our material is made to EN14960, we add mould and fungicide inhibitor to keep your inflatable Disco Dome 4m in a top condition for longer.